On July 1, 2018 YOU Boston was awarded a $630,000 three-year grant aimed at helping young adults with court-involvement and other employment barriers re-join their communities as productive citizens. The grant, which is fully funded by the U.S. Department of Labor, will allow YOU Boston to provide job training and support services to 100 Boston-area young people between the ages of 18 to 24. By the grant’s end in 2021, the goal is to have at least 70 percent of those served enter into post-secondary education, apprenticeships, or unsubsidized jobs.  YOU Boston received this special funding opportunity, through its participation in the Compass Rose Collaborative, a re-entry project consisting of eight other communities nationwide. Transitional employment: A step-by-step method of supporting young people with job readiness skills as they advance from subsidized to unsubsidized employment. Integrated services: One-stop access to a variety of services that can aid a young person’s ability to learn and work – such as housing, transportation, financial literacy, and legal services. Positive youth development: A development model that sees young people as community assets to be developed rather than risks to be mitigated. Now in its second year, the Compass Rose Collaborative is led by FHI 360, an international nonprofit working to improve the health and well-being of people in the United States and around the world. FHI 360 provides Collaborative programs with staff training, remote learning events, and twice annual meetings to share best practices.